Besides having a child, the other great thing about being pregnant is eating for two. Yep, that means more TACOS! 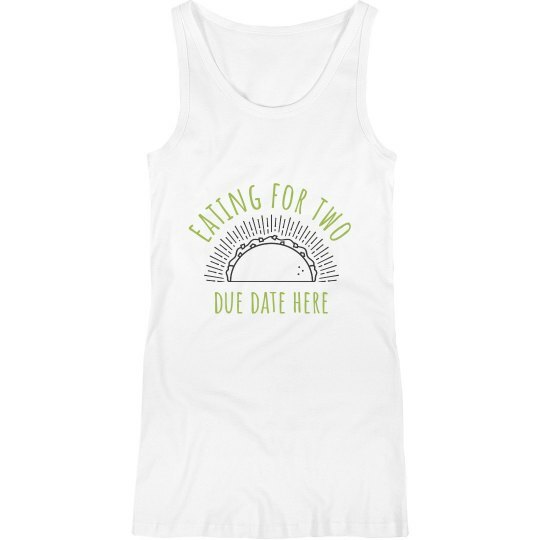 If that excites you, then pick up this funny maternity tank top. Make it your own by adding in the date your baby is due, and your ready for the taco bar!